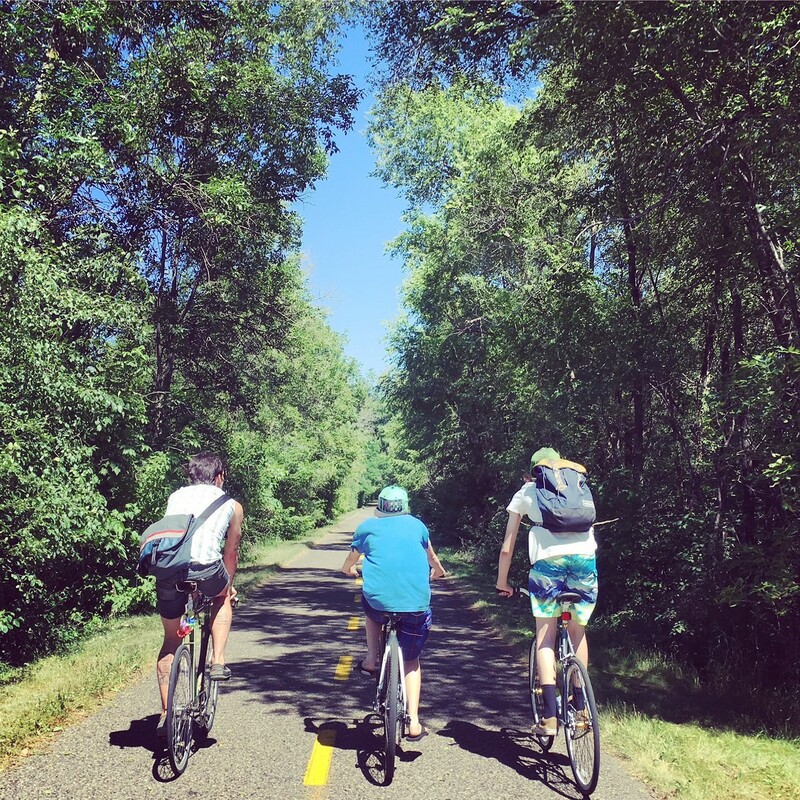 One of the first bike rides we went on as a step-family happened to be a 68-mile round trip from our house to Wisconsin and back. Which of course took hours. And made for a nice opportunity for conversation. The 14-year-old and I were riding side-by-side at one point, and he said to me: "Out of all the girls in my life I've ever met you're the only one who doesn't complain about her weight." My heart got so warm. My head got so big it almost exploded. Every feminist bone in my body shone brightly --- finally! Somebody noticed and appreciated my "realness". I thanked him for noticing and responded by saying that it's important to be healthy and riding bikes is one way that I try to stay healthy, and blah blah blah....but then my mind retraced his comment..."complain about her weight"
I asked, "wait. are you saying that it's surprising because I'm also like the one girl in your life who's not skinny?" "Well. Yah," he said, "you're actually kind of fat." Gonna be a long ride.